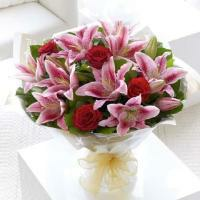 Sicily Local Flower Shops - Send Flowers To Sicily Online. 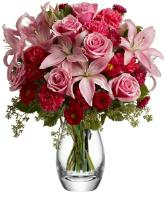 Overseas flower delivery is an online florist that sends flowers to Sicily. 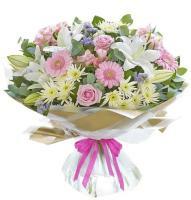 Sicily florist offers flower delivery for any occasion including: Wedding, Valentine, funeral, sympathy. 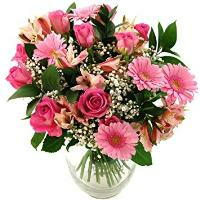 Whether you are looking for a personal way to express your affection for loved ones away from you, or make that first impression which will make that special someone smile in years to come, Sicily Florist can provide just the right bouquet to get your message across. 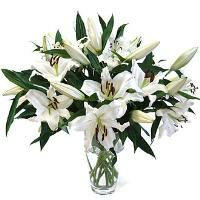 Our florists in Sicily will always delivert your flower order during normal working hours. 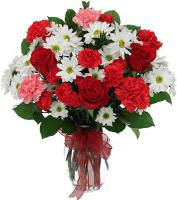 Flower orders to Military bases in Sicily are not guaranteed. Please always advice a residential telephone and mobile number in Sicily. No international numbers please. Due to security reasons, security gates staff will not forward your flower order and florists are kept waiting for more than 3 hours until they hand over your flower order to the recipient. 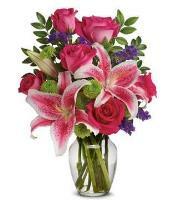 Local telephone numbers are required for all flower orders to Sicily. Mother's Day is celebrated to honour all mothers and express gratitude for the hardships they bear in bringing up a child. 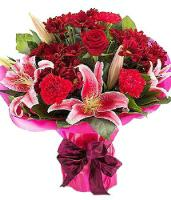 Most countries including Sicily celebrate Mothers Day on the second Sunday of May. 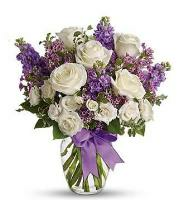 Mothers Day came into being due to the efforts made by Ms Julia Ward Howe and Ms Anna Jarvis. 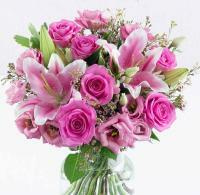 Since then people across the world have been celebrating Mothers Day with joy and devotion. 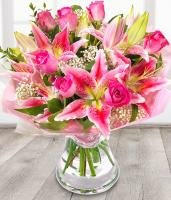 The best way to honour your mum on Mothers Day is to send her special Mothers Day flowers directly from our online flower catalogue. 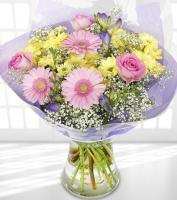 Show your mum all your appreciation for what she did by sending her a hand full of love bouquet! 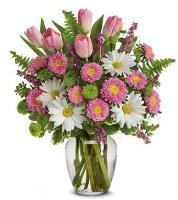 Send Mothers Day flowers to Sicily! Christmas Flowers are an important part of any holiday tradition. Although you might not realize it, Christmas is intertwined with flowers and has been since the beginning of its' celebration. 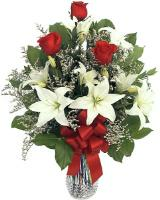 Flowers make the Christmas holiday special, and their scent and festive colors can add a nice touch to any household. 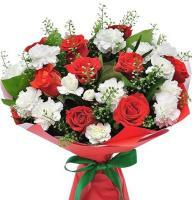 Send Christmas flowers to Sicily! 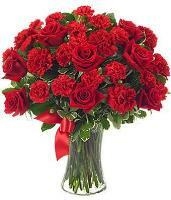 Traditionally a bouquet of red roses is considered to be ideal and most romantic Valentine's Day gift in Sicily. However, you may try and be a little more creative. 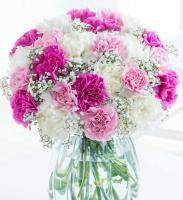 A bouquet can be made to look charmingly different by adding balloons, candy or wine to it. 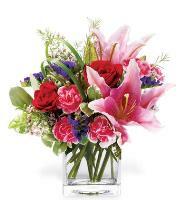 Besides ribbons and hearts can also be used to spice up the arrangement. 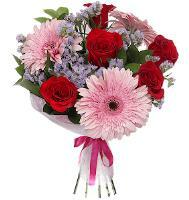 With the help of our florists in Sicily one can make a mixed flower bouquet by selecting Valentine flowers that convey the emotions of your heart. 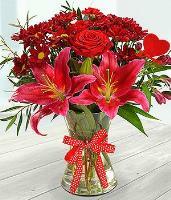 As Valentine's Day comes at the end of the winter season one can find a large number of spring flowers in their full bloom. 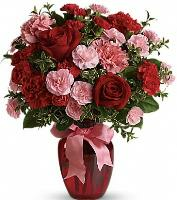 Send Valentines Day flowers to Sicily!